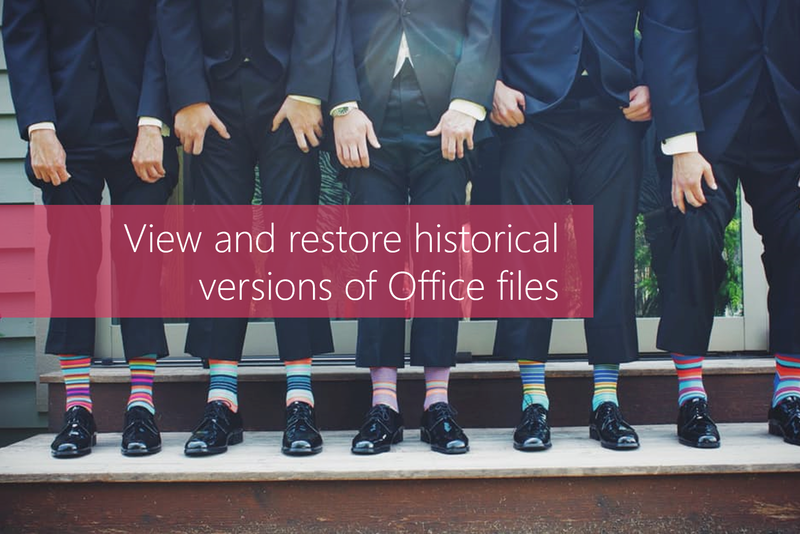 #Office365Challenge This has always been one of my ‘selling points’ for SharePoint – being able to view and restore previous versions of files. Now this ability has been extended to your files in Microsoft Office if hosted on SharePoint or Onedrive. This update was released September 2015. I have not even worked through all the great updates released 2016 or 2015 and I’m already excited to see what Microsoft has up it’s sleeve for 2017. Keep up the good work Microsoft and I’ll continue being your biggest fan.